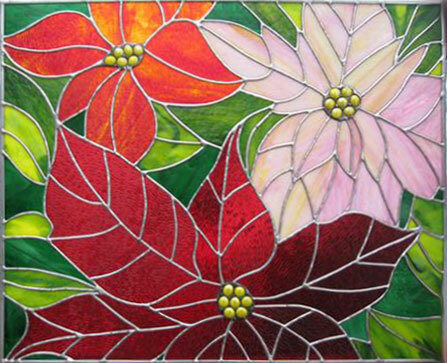 Create gorgeous stained glass projects with Spectrum's unique Pearl Opals. These stunning color mixes are perfect for those special projects that require dynamic color combinations. Harmony Pearl Opal fills the yellow-pink slot within the Peal Opal line from Spectrum Glass. 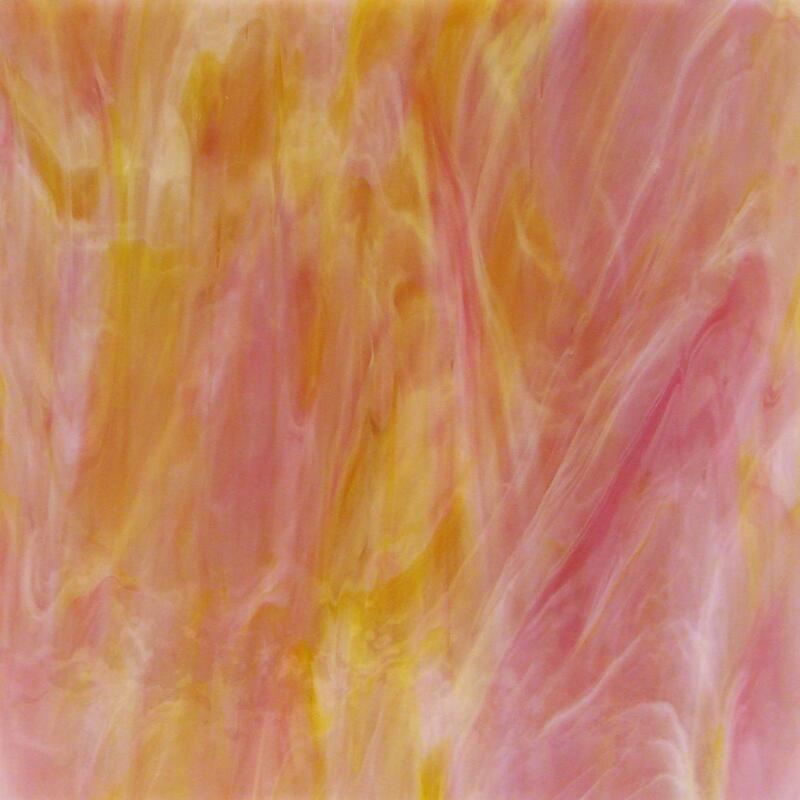 Combining pink, yellow and clear over the soft pearl opal base, this glass is perfect for sunrises and floral applications. Pearl opals have a soft, semi-granite Corsica texture on one side. Project created by artist Catherine Baranski. From Delphi's Online Artist Gallery.